There’s a jar of Elizabeth Arden Ardena cleansing cream in Francis Dolarhyde’s bathroom shelf. This product is a vestige of a long-gone past, originally used by the man’s grandmother. 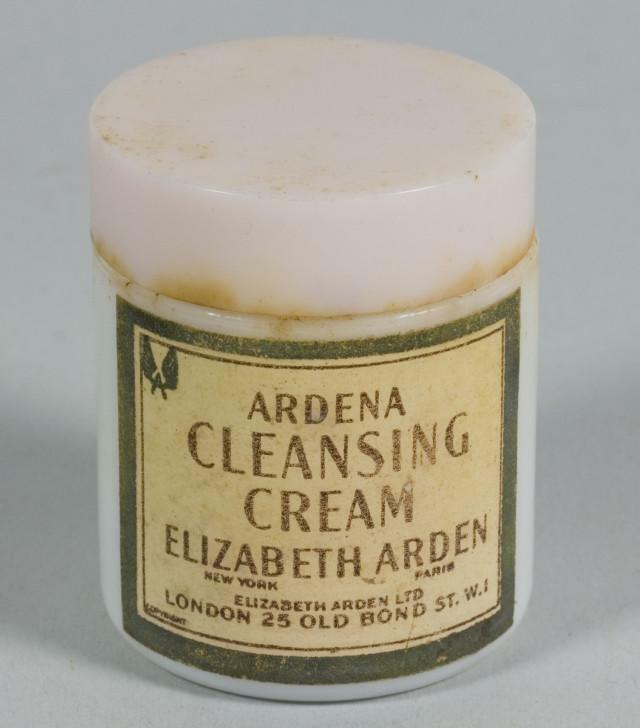 The Ardena cleansing cream was part of the Venetian Ardena line, created by Elizabeth Arden in collaboration with the chemist A. Fabian Swanson in 1912, after a trip to Paris. The first successful products of the line were Venetian Cream Amoretta, a “fluffy light-whipped cream-like skin cream”, and Arden Skin Tonic. The line included a wide range of items, among which cleansing tissues, Crème Mystique (to conceal redness, blemishes and the shine on the nose), Crème de France (a protective after-sun cream) and cosmetics.